As both a mom and a financial planner, I want my 1-year-old son, Brock, to grow up to be financially independent and make wise financial decisions. There are two significant truths that can help. First, the best way to learn to handle money well is to handle money. Second, the best way to learn to make good financial decisions is to — you guessed it — make financial decisions. I grew up as the oldest of three daughters. My mom, a part-time piano teacher, always shopped the bargains and used coupons. My dad, a pastor, taught me how to live frugally. In elementary school, my mom gave me four Tupperware containers labeled Tithe, Give, Save, and Spend. I was required to divide all money I earned or received into the four categories: 10 percent, 10 percent, 10 percent and 70 percent, respectively. My parents gave me a small allowance for completing chores to encourage me to practice classifying money into the different categories. This taught me the value of giving back to the Lord, giving to others, saving, and I certainly enjoyed the spending category the most! Classifying my money into the four Tupperware containers laid the groundwork for the financial decisions I make today. My parents often did not have money to get me things above and beyond the basics, so I learned how to buy those things with my own money. As women, we often feel the need to buy everything for our kids, but I learned many valuable lessons from not having everything I wanted. In high school, my parents entrusted me with bigger financial decisions. They purchased a $500 1988 Jeep Cherokee for me that was a rust bucket, but I loved it! I was required to pay for the gas and oil changes, and even had to purchase four tires for the car. I learned the importance of a summer job and how to spend carefully to buy the things I both needed and wanted. In college, my parents scaled back even more by only paying for my medical expenses, cellphone and part of the tuition bill. This gave me more opportunities to practice living frugally so I could stretch my summer earnings to cover the entire school year. They also helped me open a credit card, but encouraged me to only use it to purchase gas for my car and to pay it off each month. In a society where men are often viewed as the financial decision-makers of the family, I appreciated watching my mom spend hours creating budgets and balancing her checkbook on Quicken, a financial management software package. Her example and guidance encouraged me to become confident making financial decisions. Eventually I became a financial adviser and planner, a career dominated by men. My parents’ guidance and discussions about money growing up helped me become completely independent in my finances. You don’t have to use Tupperware or the 10 percent, 10 percent, 10 percent and 70 percent rule, but it is important to put some guidelines in place. Include your children in some of your financial discussions so they have both the knowledge and experience to make their own financial decisions and someday be completely independent. 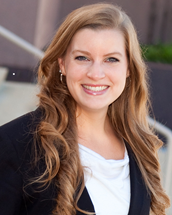 Brittany Heard works with Foster Group clients to define and achieve their financial goals. She enjoys helping clients make small changes that benefit them long-term. Heard's opinions in this guest submission do not necessarily reflect those of her employer. New evidence from LeanIn.Org points to a potential downside of the #MeToo movement for women, one that further hinders their paths to senior-level positions. Nonprofit LeanIn.Org recently partnered with SurveyMonkey to understand what men and women were feeling in the wake of widespread media reports of sexual harassment. The findings? Since #MeToo, the number of men who are uncomfortable mentoring women has tripled. According to survey results, almost half of male managers are uncomfortable participating in a common work activity with a woman, such as mentoring, working alone or socializing together. Almost 30 percent of male managers are uncomfortable working alone with a woman — more than twice as many as before. The number of male managers uncomfortable mentoring women has more than tripled from 5 percent to 16 percent. This means that 1 in 6 male managers may now hesitate to mentor a woman. Senior-level men are 3.5 times more likely to hesitate to have work dinner with a junior-level woman than with a junior-level man, and 5 times more likely to hesitate to travel for work with a junior-level woman. About half of women and men say their companies have responded to the #MeToo movement by taking action against harassers, updating policies, or offerings employees guidance or training. In a Facebook post last week, LeanIn.Org founder Sheryl Sandberg explained that men’s increasing unwillingness to mentor their female colleagues "undoubtedly will decrease the opportunities women have at work." Sandberg said that, "The last thing women need right now is even more isolation. Men vastly outnumber women as managers and senior leaders, so when they avoid, ice out, or exclude women, we pay the price." In response to survey findings, LeanIn.Org launched a new initiative called #MentorHer, which aims to educate about why mentorship is so crucial to achieving gender parity in the workplace. Learn more about #MentorHer. A number of high-profile male business leaders have made the commitment to mentor women, including Oath CEO Tim Armstrong, LinkedIn co-founder Reid Hoffman and CEO Jeff Weiner, Unilever CEO Paul Polman, and Facebook CEO Mark Zuckerberg, Fortune.com reports. "If we’re going to change the power imbalance that enables so much sexual harassment in the first place, we need to ensure women get more mentorship and sponsorship, not less," Sandberg said in her post. "That’s how we get the stretch assignments that lead to promotions. That’s how we build the networks that put us on the path to exciting opportunities. That’s how we get the respect – and recognition – we deserve." According to the Workplace Bullying Institute, 60 million Americans were affected by workplace bullies in 2017. The numbers are saddening: 70 percent of workplace bullies are men and 60 percent of targets are women. This issue is costly in many ways. There’s the mental toll on those being bullied and there’s the cost of lost productivity – up to seven hours a week and $8,800 in lost wages annually for the target. These statistics can and should change. Bullying is a form of harassment that can be summed up as exercising power and control over another person, regardless of the situation. It’s less about you, your work, and personal choices and more about making it about them – shifting the focus from you back to them. What can you do about the office bully? First, verify that this person is singling you out and/or truly hard to work with. Most likely, you’re not the only one they are picking on. If others are going through similar experiences it’s worth knowing about. Do your verification process discreetly. Sixty-one percent of office bullies are managers so it’s important to understand your company’s HR policies. Remember, it’s not illegal to disagree with someone at work or to share an opinion of you; it’s when those opinions become frequent, how harsh the comments are, and to whom they are directed that becomes concerning. Third, kill ‘em with kindness. This is a trick I learned from my mother that works to diffuse almost any situation. Kindness is like Kryptonite to the office bully. It’s unexpected and lightens the mood. Ultimately, you must decide on the severity of the bullying. Is it merely annoying or is it life-changing -- affecting your work and mental well-being? If it’s the latter, take steps by discussing the situation with a manager or human resources representative you trust. You may even consider seeking out a new professional environment through an internal transfer or employment outside the organization. Finally, be kind to yourself. Reaffirm your self-worth by spending quality time with friends and family, and remember, even office bullies experience karma. 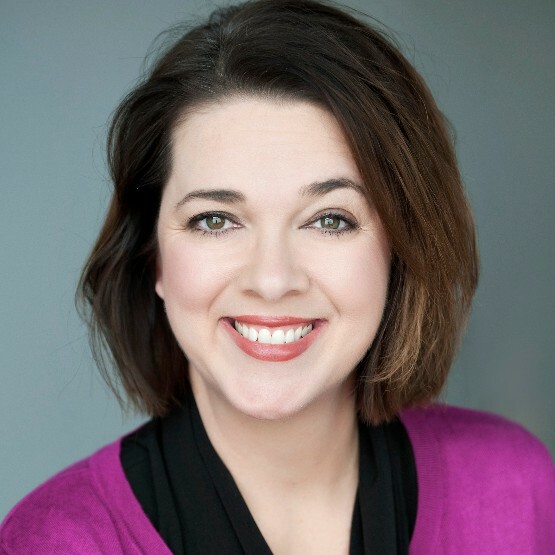 Kirsten Anderson is a passionate communicator who found herself an unlikely advocate for those facing harassment in the workplace after she took a stand against her former employer: the state of Iowa. 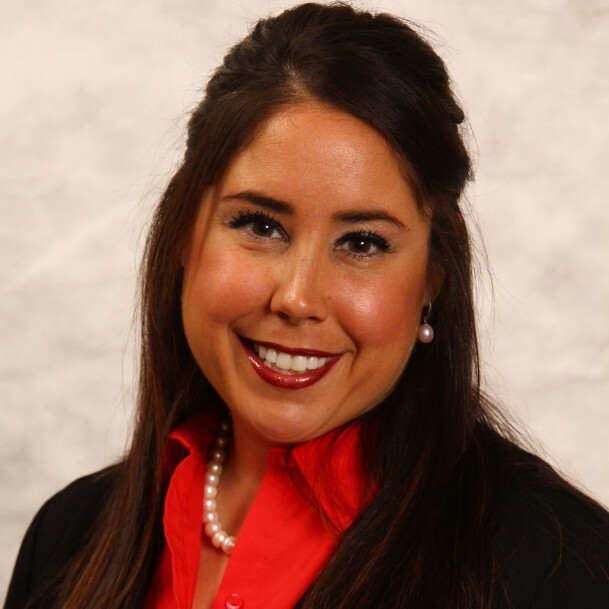 On May 17, 2013, she was fired from her job as communications director for Iowa Senate Republicans just seven hours after formally complaining about repeated harassment and retaliatory behavior by staff and lawmakers at the Iowa Statehouse. She sued the state for wrongful termination, harassment, and retaliation, and was awarded a settlement by a jury of her peers. Anderson now works to support others who have experienced harassment in the workplace. She is determined to see all workplace harassment end in her lifetime through education, victim support and continued dialogue. To ensure a safe working environment, Anderson is advocating to end victim shaming and start a conversation on the issue. Anderson has a degree in broadcast journalism from Northwest Missouri State University. 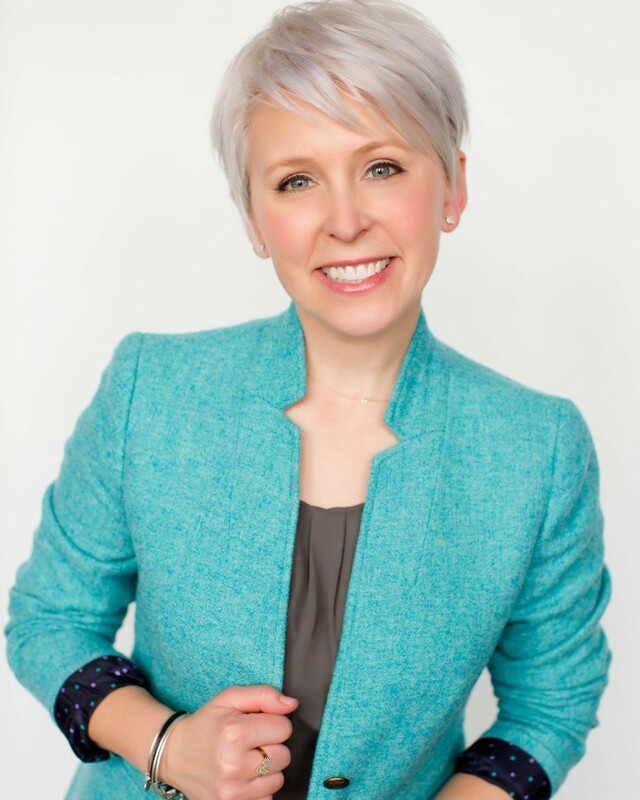 Her professional experience includes running a nonprofit, working as a communication coach and trainer, and managing an award-winning professional development program. She is a 2008 Greater Des Moines Leadership Institute graduate and former Leadership Institute Board of Governors member. She is currently president-elect of the local chapter of the Association of Women in Communications and in her free time enjoys sharing the hilarious random things her 8-year-old son says and enjoying just about any live music show with her husband. Anderson can be reached at Kirsten@KirstenAnderson.com. Iowa Gov. Kim Reynolds has announced a new cyber training partnership between the SANS (SysAdmin, Audit, Network and Security) Institute and the state of Iowa designed to inspire the next generation of female cybersecurity professionals, the Corridor Business Journal reported. GirlsGoCyberStart is a free online game of discovery that offers young women in grades 9-12 the opportunity to learn basic cybersecurity skills and test their cyber aptitude. Participants do not need any prior cybersecurity knowledge or IT experience. Iowa's students will be competing against students from 16 other states and territories. Registration is open now, and will run through Feb. 16. The first 10,000 young women to register may play the game online from Feb. 20-25, with prizes to include computers and a trip to the 2018 Women in CyberSecurity Conference in Chicago. The three schools in Iowa with the most participants will win awards of $2,500, $1,500 and $1,000. Longtime Greater Des Moines community leader Patricia Clare Sullivan, the former president and CEO of Mercy Medical Center-Des Moines, died Monday near Orlando, Fla., where she lived, after a brief illness, Mercy reported. She was 89. A member of the Iowa Women’s Hall of Fame, Sullivan served on the boards of what is now the Greater Des Moines Partnership and Casey’s General Stores, and was active in many community organizations. She retired in 1993 after 15 years as president and CEO at Mercy, which developed the Mercy Clinics system during her tenure. She also helped establish a new Bishop Drumm Retirement Center in Johnston and House of Mercy on Clark Street. The Sullivan Center on the Mercy College campus opened in 2005 to educate future nurses, health professionals and leaders. Plans for a local remembrance of Sullivan are under discussion. Women Aware is seeking nominees for its Women of Excellence celebration. The goal of the Women of Excellence program is to recognize and celebrate Siouxland women who inspire and make a difference in their communities.There also is an award to recognize men whose efforts have positively impacted the quality of life for women. The deadline to nominate is March 2, and recipients will be recognized at a banquet on March 27. Women Aware is a Sioux City-based nonprofit organization dedicated to transforming the emotional and economic future of women and men in transition through advocacy, education, information, and referral. More information on the Women of Excellence Awards is available online under "Take Action." About: Women of Worth is taking its monthly networking luncheon on the road to visit a selection of Des Moines’ women-owned small businesses. This month, the group will meet at McLaren's Resthaven Chapel & Cemetery for lunch and power networking. 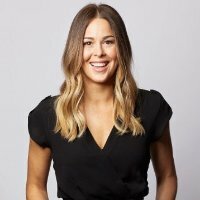 Speaker, trainer, success coach and author Carrie Copley will give a quick presentation about simple strategies to help businesses and individuals create their unique life vision statement. The cost is $20 for lunch or $12 for networking only. About: Join others at the Dostal House with Certified Professional Coach Shannon Beck for strategies to go for that job you think is "out of your league." It's time to change that mindset that keeps women from the jobs and money they want. When: 11:45 a.m. to 1:15 p.m.
About: Join others for the March Elevate event with Eileen Wixted, winner of the 2017 Real. Strong. Woman. Of Distinction award. Nationally recognized communication expert Wixted will discuss the importance of creating a public brand to advance your personal and professional growth. About: The public is invited to this event hosted by Professional Women’s Network - Cedar Rapids, featuring national keynote speaker and author, Kathleen Caldwell. She will introduce attendees to using your success mind power for greater wealth, health, energy and fun. Breakfast, networking and check-in begin at 7:30 a.m. Tickets are $35 for PWN members and $40 for nonmembers. View all newly announced events or submit an event here. 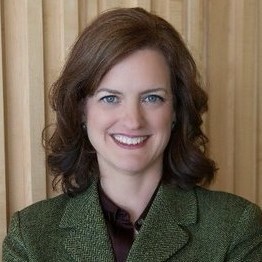 Years before the #MeToo movement gained steam and incited women in all sectors to speak out against harassment, before the 2016 presidential election inspired a wave of women to run for elected office across the U.S., Janet Cowell was working her way up in politics – first as a member of the Raleigh City Council in North Carolina, then as state senator, and later rising to become state treasurer in 2007. The first woman to hold that position, Cowell had a slew of successes during her tenure, which ended in 2016. Despite these wins, Cowell was challenging a deeply rooted status quo in North Carolina’s male-dominated political culture. To say it wasn’t easy is an understatement. Here’s what Cowell told Fast Company in her own words about being the only woman in the room for much of her career. Being a female entrepreneur can be lonely. This founder is changing that. Last year, TechCrunch released a study that contained a startling statistic. Only 17 percent of venture-backed startups had a female founder. Not only that, but the number had been completely flat for the last five year. It was a fact that hit Kathleen Griffith, the founder and CEO of Grayce & Co, a 3-year-old brand and marketing strategy firm geared to women, every which way wrong. The Chicago Sun Times' description of "Caveman": "Outrageously funny and surprisingly sweet exploration of the gender gap." The show makes audiences laugh at themselves as it explores the ways men and women fight, laugh and love. Proving that these are universal themes, "Caveman" has been seen in 45 countries and translated into 18 different languages. Showtimes vary; tickets ranging from $28 to $55 are available here. Learn more about these events or submit an event here.